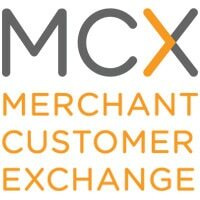 US retailer-led consortium MCX is expanding its CurrentC mobile wallet pilot to further locations across Columbus, Ohio, making it available for use in nearly 150 stores. New participating retailers include Kmart, Sam’s Club, Sears and Walmart. The Columbus beta launched in September 2015 at CVS/pharmacy, Giant Eagle, Giant Eagle Market District, Target and Wendy’s. It will soon grow to include select local Exxon, Mobil and Shell fuel stations, the consortium says, with additional retailers set to be announced “soon”. “Our goal is to deliver real value to consumers, incentivizing them to use, and keep using, CurrentC,” MCX CEO Brian Mooney told attendees during a keynote speech at the Electronic Transactions Association’s Strategic Leadership Forum. “By creating the best experience for consumers at every merchant in our network, we think CurrentC can bring consumers and merchants closer together by delivering meaningful and personalised experiences. MCX unveiled the CurrentC brand in September 2014 and added added offers and discounts to the service in August 2015. It unveiled plans for the pilot in the same month. Does it still depend on here a pic, there a pic, everywhere a pic pic?